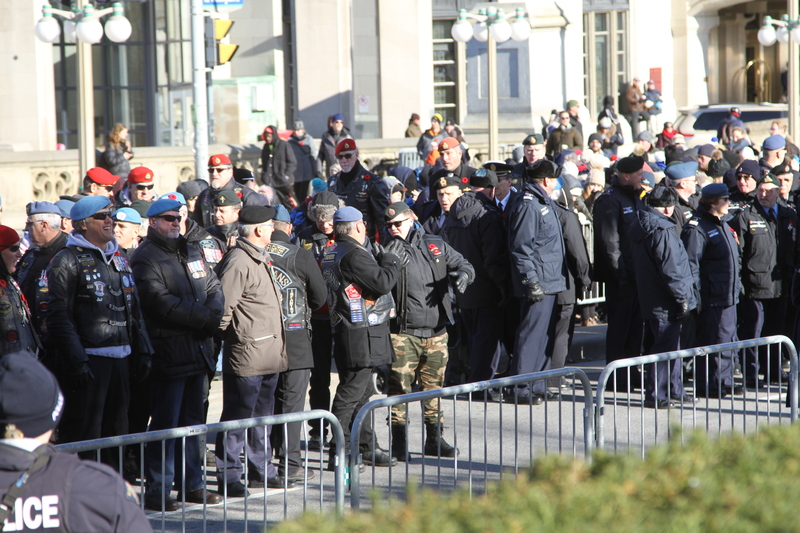 Veterans at the 2018 Remembrance Day ceremony at the National War Memorial in Ottawa. As much as $265 million will be put in veterans’ pockets as the federal government rectifies an accounting error and settles a class-action lawsuit over benefits clawbacks. The accounting error between 2003 and 2010, uncovered by the veterans ombudsman, stinted veterans and RCMP retirees of indexation increases to their disability pensions. The adjustments did not take into account a change to provincial tax credits. About 270,000 veterans, RCMP retirees, survivors and estates are affected. “We will ensure those affected receive the compensation to which they are entitled,” said then Veterans Affairs Minister Seamus O’Regan. The error has been fixed and affected veterans, or their estates, will receive retroactive compensation ranging from a few hundred to a couple of thousand dollars. However, given the number of veterans involved, it may take some time. “We expect to issue payments by 2020,” said O’Regan. Some 120,000 affected veterans have died, so their survivors and estates will be eligible for the funds. In a television interview, Parent said he hoped low-income veterans would be first in line. Meanwhile, the federal government has also agreed to a $100-million settlement of a class-action lawsuit certified in 2016 after the federal government clawed back financial assistance from veterans also receiving disability pensions for service-related injuries. More than 12,000 veterans are affected by the settlement, which was expected to be approved by the Federal Court in December. Pension Act pensions were deducted between 2006 and 2012 from the amounts received under the Earnings Loss Benefit (ELB), Canadian Forces Income Support (CFIS) benefit and the War Veterans Allowance (WVA). The greater the disability, the bigger the deduction. The lawsuit argued that this was discrimination based on disability, a violation of the Charter of Rights and Freedoms. CAF members affected by deductions from the ELB or CFIS between April 1, 2006, and May 29, 2012, have been allocated $70 million of the total. Payments would range from about $2,000 to $50,000, depending on the severity of the disability. The remaining 30 per cent will go to Pension Act war veterans entitled to the WVA before 2012; these payments are expected to be about $2,500. An out-of-court settlement was reached after two years of negotiations, veterans’ lawyer Michel Drapeau said, adding that negotiations were amicable. “I believe the proposed settlement is fair and provides both sides with needed closure,” said O’Regan. Cheques are expected to be distributed within six months of Federal Court approval of the settlement.